I understand most of you will probably faint when you see me posting about another adoptable site. And Chicken Smoothie, of all things! God forbid! 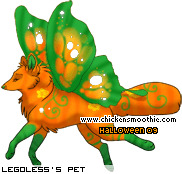 But because I haven’t posted all month, and my only planned post hasn’t even started yet (hopefully it will be up by the end of next week) I’ve decided that I might as well post about the Chicken Smoothie Halloween Event as a sort of teaser. I apologise if it causes any bleeding of the eyes or mental pains. You adopt new baby pets each month a try to collect all the outcomes (if you want). You can also dress up pets with items, but I don’t. You might as well get all the free ones anyway, so you can trade them on the forums. Most of the time you get items from ‘The Store’. These cost real money, but have a look through them anyway because there are a few free ones. You can organise your pets into different groups to show them off, or post them on your website or signature using the codes provided. These are actually all just items items to dress up your pet with. The big ghosts serves no other purpose, but the other three smaller sweets can be used to purchase items from the special Halloween page. Note that you have to wait half an hour before you can go looking for the banner again. 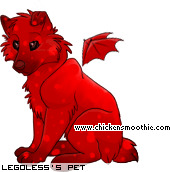 I’m only going to post the pets that I get, so if you want to see the rest quicker then go to the link above. This also means that I won’t be posting any items since I don’t like them and won’t be wasting my sweets on them. Again, go to the Halloween page if you want to see them. Also, you can get some free items on the Halloween page, near the top. Two different trick-or-treat bags and a few sweets (not the kind you can trade for pets though). Ignore the message beside them, too. The items don’t help your forum search in any way. 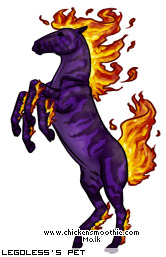 There are some new pets in the Store as well. Again,they cost real money, and it would be hard to trade for one. Which just makes them even more wanted. That’s all. Thanks for reading. You can go now. Entry filed under: All, info. 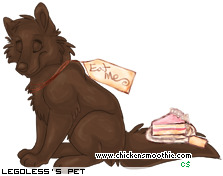 Tags: adoptables, bunnies, butterfly wolves, C$, candy, cats, Chicken Smoothie, dogs, ghost, ghosts, Halloween, horses, items, KABOOM, legoless, pets, rats, store, sweets. EDIT: Yay, I fixed it! 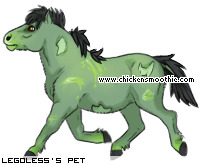 I play Chicken Smoothie! My Username is Turquoise!